She was 14 and he was 15 when they decided to immortalize their love for each other by taking a selfie. They stood in their school uniform right before their school, reckless and indifferent. Some might even say indecent, requiring viewers’ discretion when referred to. The teenage couple exchanged a fervent kiss that did not only light the fire of passion in those kids’ hearts, but also triggered scathing criticism that was hard to extinguish in Morocco. Like the wild fire, the Selfie went viral across social media and users varied between supporters and condemners. Ibtisam, a Moroccan activist and individual freedoms advocate, decided to organize a sit-in, that she called a “kiss-in”, in front of the Moroccan Parliament in the city of Rabat. The square before the parliament’s premise stands for the modern agora. People go there to voice their demands – an act to which authorities react according to the nature of the issues raised- and the kiss-in was not that provocative for authorities except for a lynch mob that could not resist the temptation of imposing random social punishment. The weather on that afternoon was fair and people were walking around others were sitting in cafes, suddenly, the square was getting crowded. And you can see that question mark on people’s faces that were not aware of the kiss-in. given the Moroccan society’s conservative façade, what was going to happen next would blow away people’s minds. Ibtissam observed the scene with a careless and rebellious beauty. The lynch mob’s eyes were stalking her together with the other couples who agreed to take part in the kiss-in. Authorities in their uniforms were walking around the square not showing a sign to interrupt the social event. The audience was split into different categories. The sympathizers who were teenagers who appeared in punk and hippie looks; another category chose to stand aside waiting for the event to start to uncover its claws and immediately interfere to stop it; while the third category stood there watching the scene and speculating about what will happen next; and on the side walk a moving category that was not interested in the crowd and passed by the gathering with the-something-is-going-on-here-but-I-do-not-the-least-intention-to-ask-kind-of-look on their faces and others were like “if it is too important, it will be on the news channel tonight”- it never happened because only e-newspapers wrote about it. After somebody blew a whistle, the couples started to kiss in public as a way to support the teenagers who were jailed for public display of affection. Ibtissam and the couples who joined her were publicly humiliated and pushed away from the square by the so called -Baltajya- or troublemakers, members of the lynch mob. The scene seemed to quench the journalists’ thirst to report scoops on the harassment that individual freedoms are subjected to; however, the oppression this time is from the people themselves. Ibtissam did not stop here; she created a facebook page and defended her cause of promoting the right to individual freedoms in several interviews and news articles. She thought that the kiss incident is an unprecedented opportunity to shed light on the status of human rights in Morocco. Despite the obstacles set by society, her quest for freedom and equality grew stronger and the more negative feedback she received, the more her will and determination reinforced. 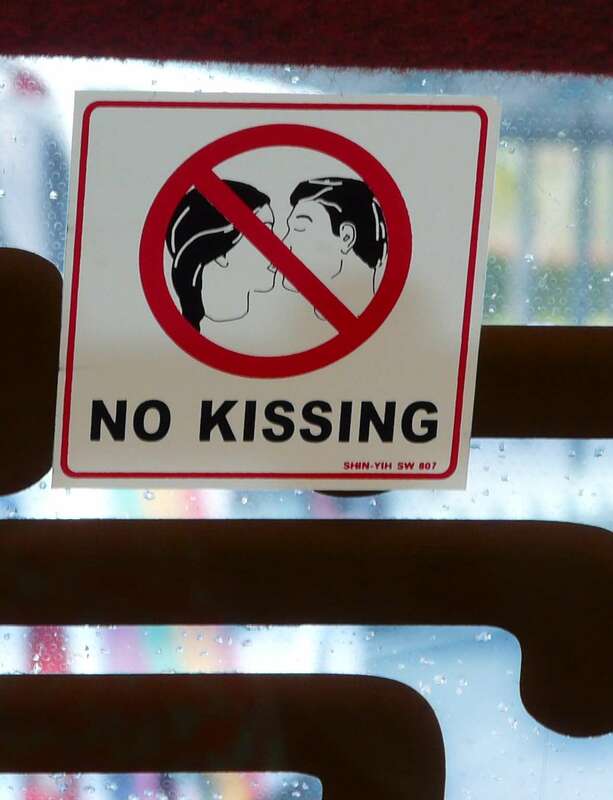 Ibtisam did not simply defend the couple’s right to kiss in public; she rather believed in their right to live freely and without being obliged to stick to some socially constructed shackles. When she defends her cause, she simply does her job as a human being for which she will never get paid; but for which she will be certainly remembered. For Ibtissam, the kiss is just the beginning. Posted on July 8, 2015 July 23, 2015 by sarahperlePosted in English, ToleranceTagged English, kiss, morocco, tolerance, youth.